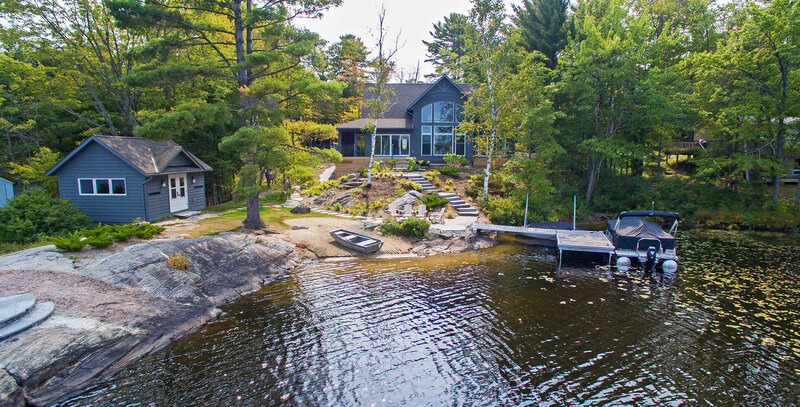 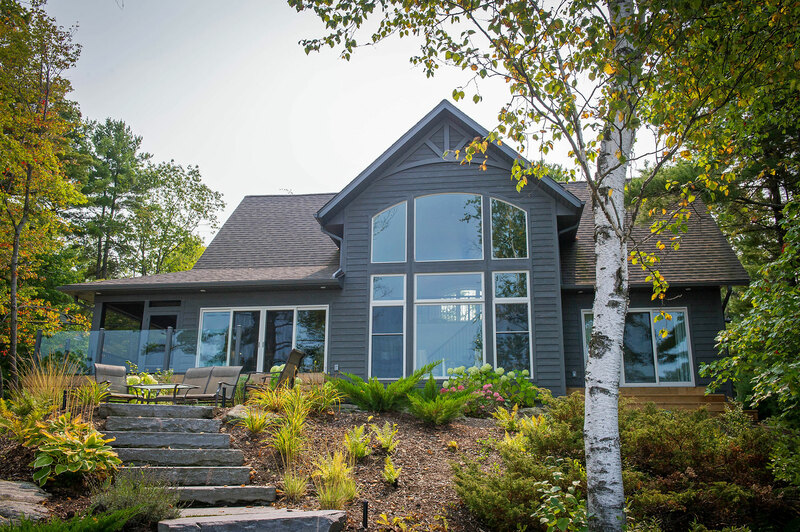 Re-defining waterfront living with this complete custom build on Kahshe Lake. 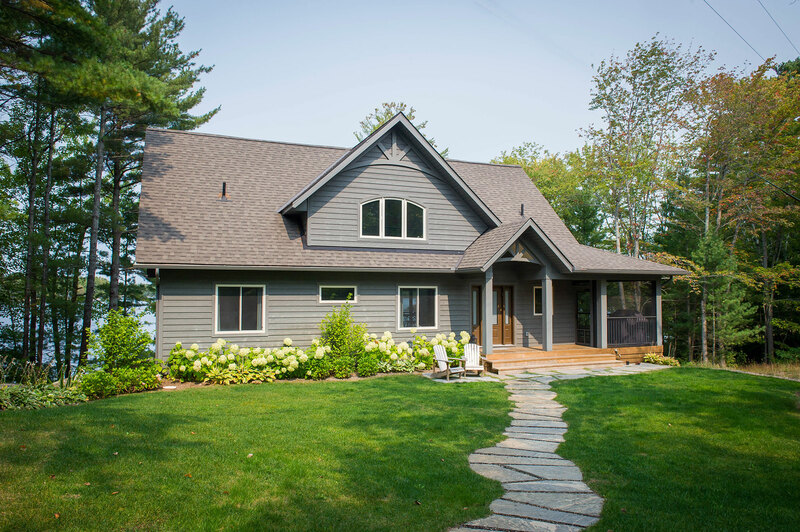 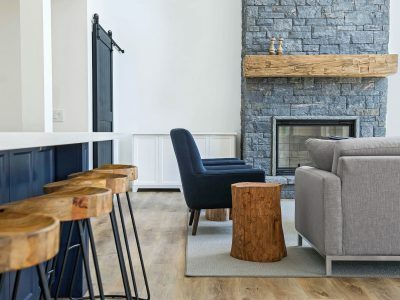 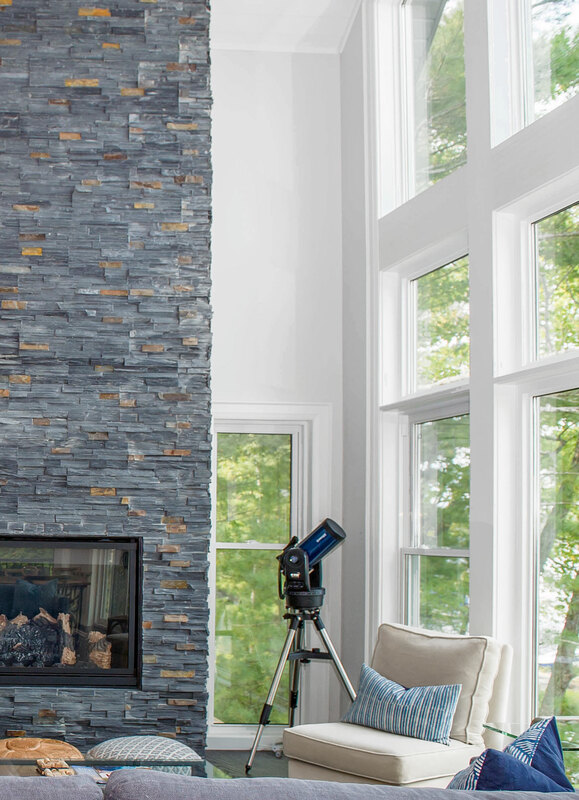 A combination of classic Muskoka style and modern interior features work well to create timeless elegance and a breathtaking result. 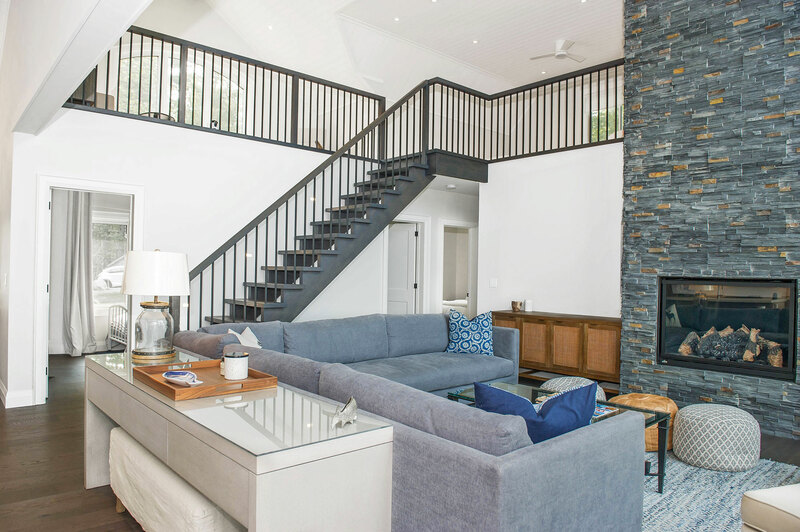 Spatial flow of this gorgeous 1 1/2 story home was expanded vertically with the addition of loft space, highlighting the view from above. 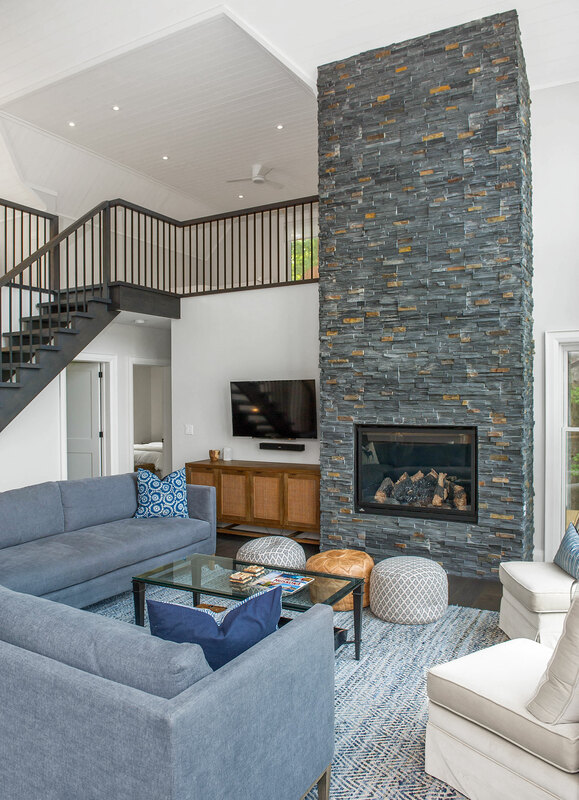 Below, in the main living area, a grand stone fireplace leads the eye upward, and is an inviting and majestic centrepiece. 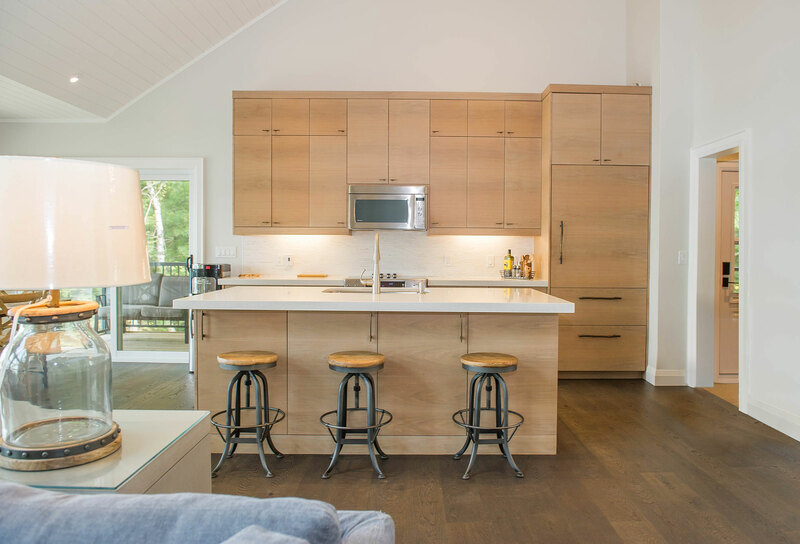 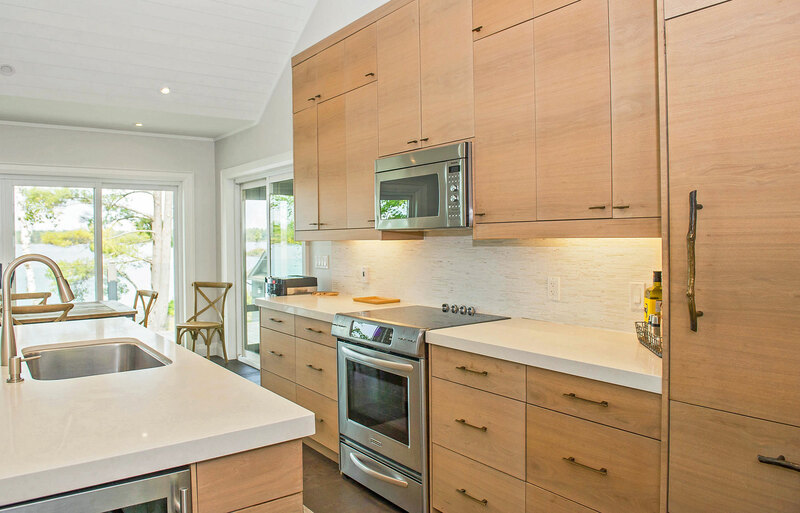 The open-concept kitchen boasts sleek maple cabinetry detailed with ‘twig’ hardware and thick slab white granite providing textural interest that balances the lake and forest elements. 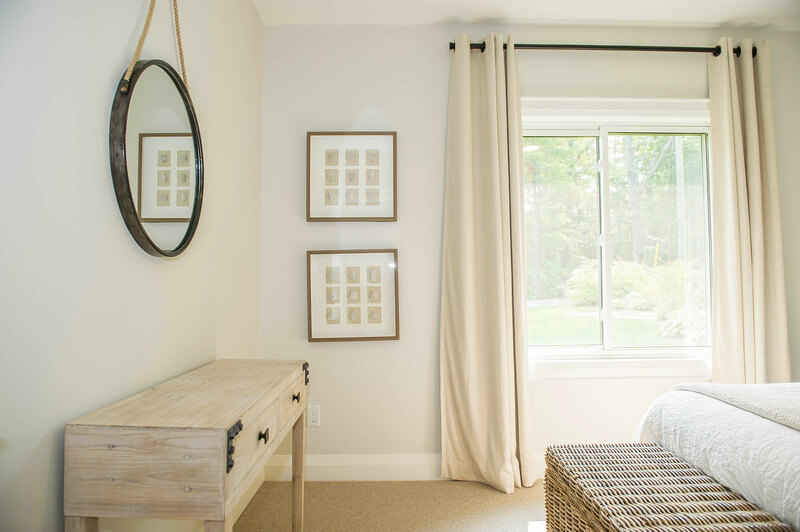 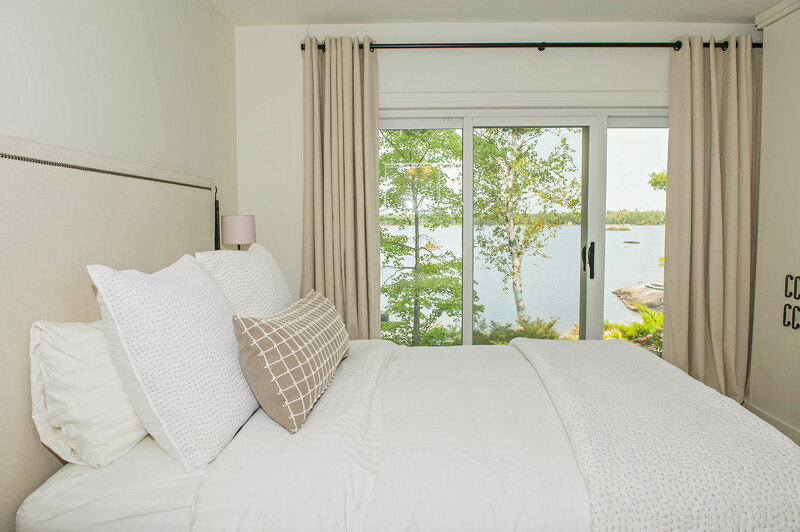 A fresh neutral palette was chosen for the bedrooms to echo the serene nature of the lake, providing a setting for relaxation and calm. 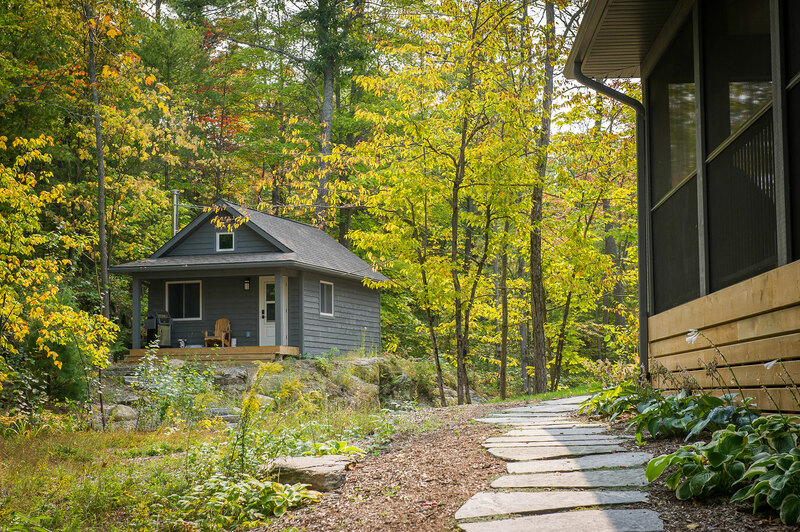 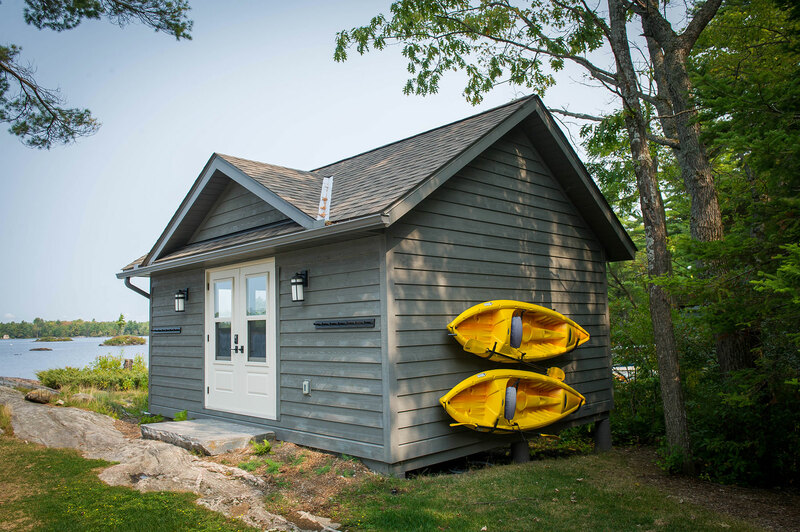 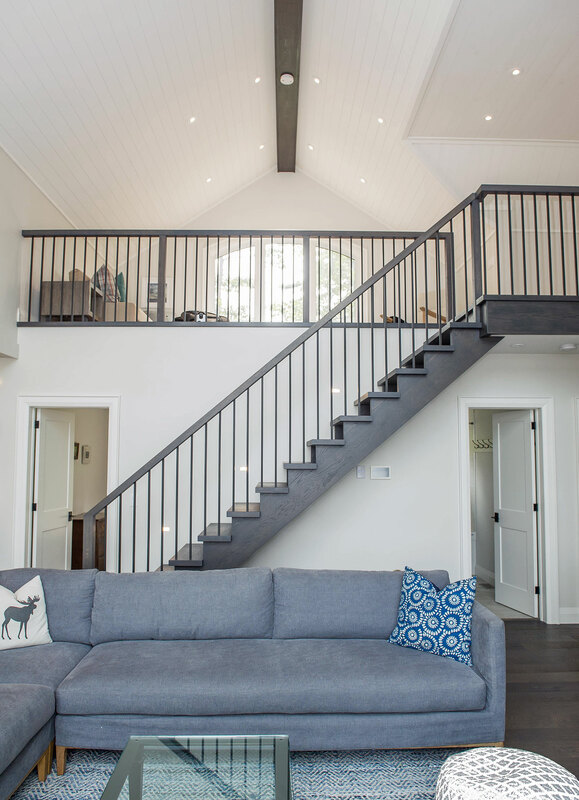 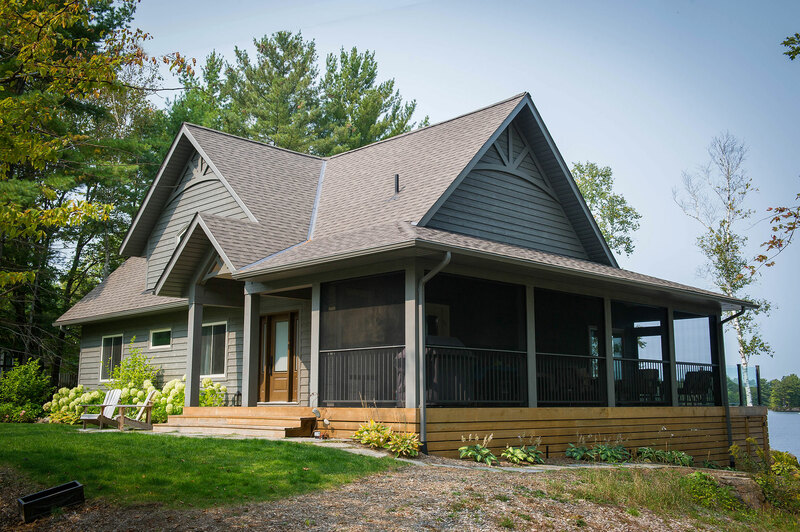 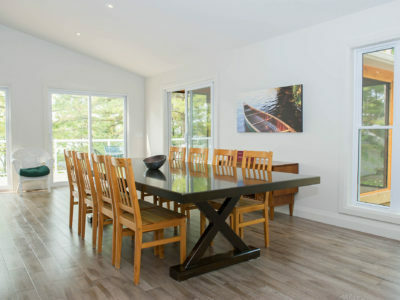 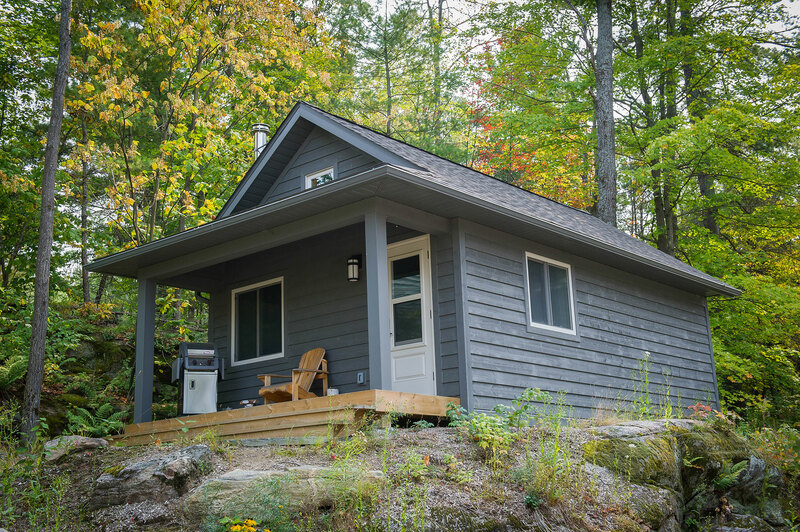 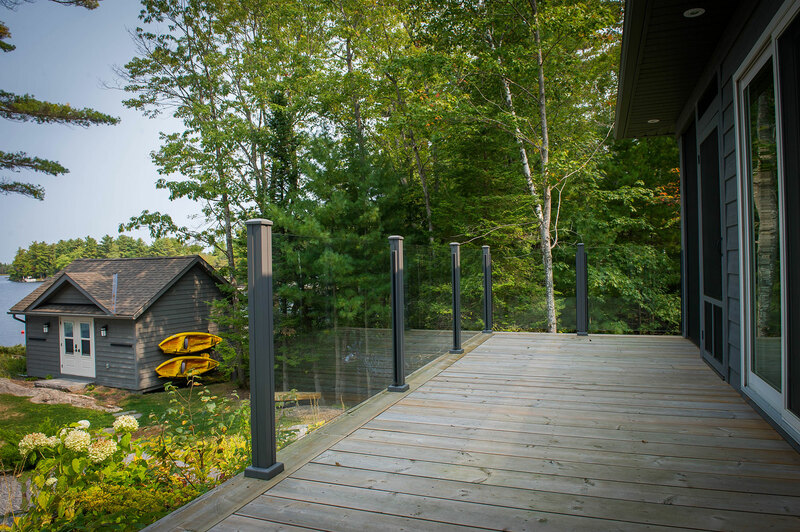 We added functional and recreational space with the construction of two outbuildings – a bunkie/sleeping cabin and a land boathouse, as well as a custom, wrap around screened porch and Muskoka Room.